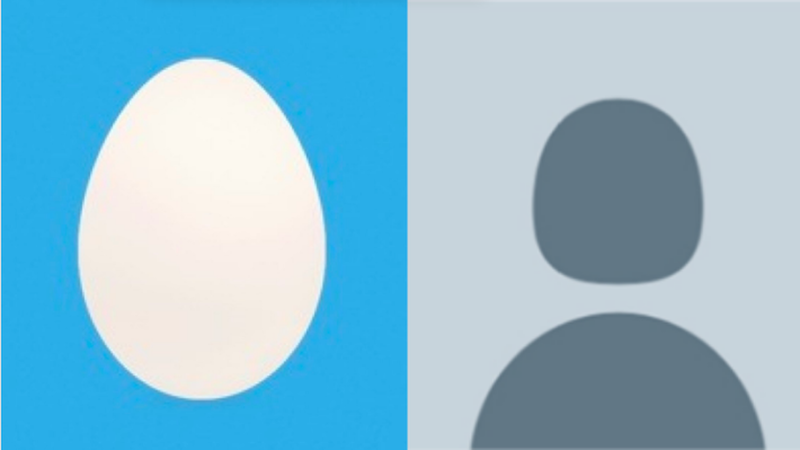 Twitter ditched its iconic default egg profile picture for a more generic gray silhouette today, as first reported by Fast Co. Design. It's another controversial move for the platform after yesterday's revision to the reply function. The new silhouette is meant to "[highlight] the absence" of a profile photo, as Twitter's design team found that the vibrant background colors of the egg didn't capture the fact that something was missing. The move comes after the egg became synonymous with trolling and harassment, leading many users to ignore any profile with an egg picture. However, that put newbie users unaware of the egg's connotations at a disadvantage on the platform. Twitter's senior manager of product design told Fast Co. Design, "These regular users would be using a troll's clothing in some ways, not realizing that they probably should be changing that."